For more than 130 years, Crayola has been a part of childrens’ creative development. 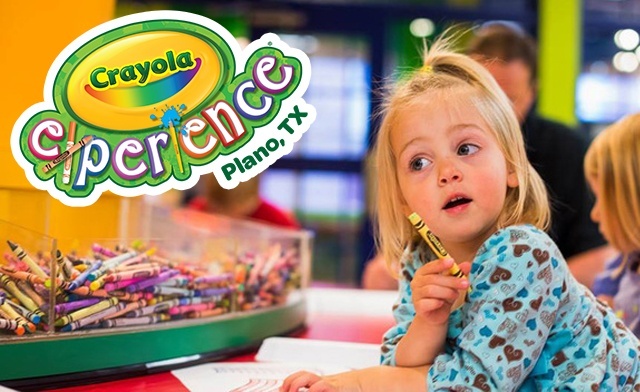 Today children can enjoy a colorful wonderland that five generations before could only dream of — Crayola Experience, where the magic of Crayola comes to life! Children can star in their very own coloring page, and embark on a 4-D coloring adventure! 60,000 square feet of attractions, perfect for a day of family enjoyment. Not valid for special events. General admission ages 3+. Promotional value expires 6/1/19. Tickets can be scanned directly at entry podium - no need to go to the Admissions counter.